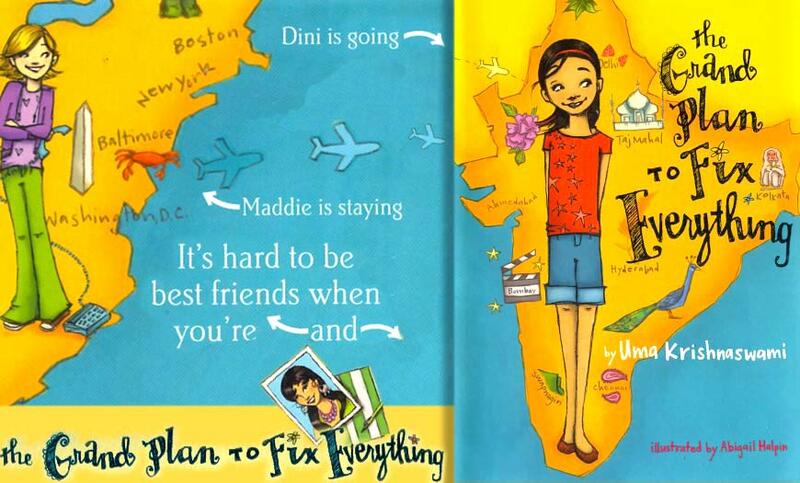 This entry was posted in "The Grand Plan to Fix Everything, A Countdown Quickie and tagged "The Grand Plan to Fix Everything", Bollywood movie fans, Book blog tours, Book trailers, global interviews, illustrated by Abigail Halpin, India, on keeping friends after moving, Uma Krishnaswami. Bookmark the permalink. It’s fun to follow Uma’s blog trail. I’m picking up new tidbits about writing, the book, and Uma, all along the way!